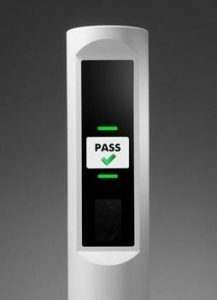 AZ Displays TFT Panels used in Biometric Security Control Applications | AZ Displays, Inc. Displays met by offering an 800 x 480 resolution TFT driven via LVDS interface. The TFT display in this product is AZ Displays’ part number ATM0500L19B.